New Year’s Day I ventured into Little Havana to try a place I’ve never been to. 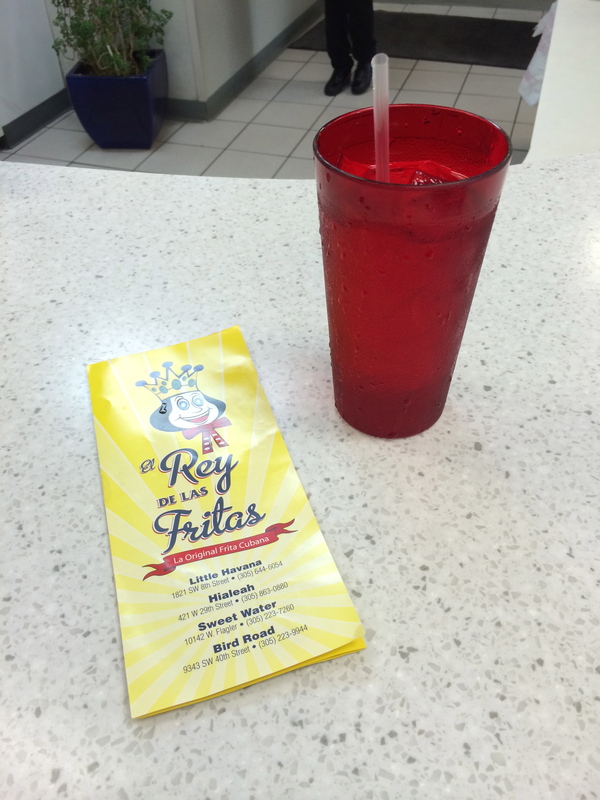 The famous, El Rey de las Fritas. 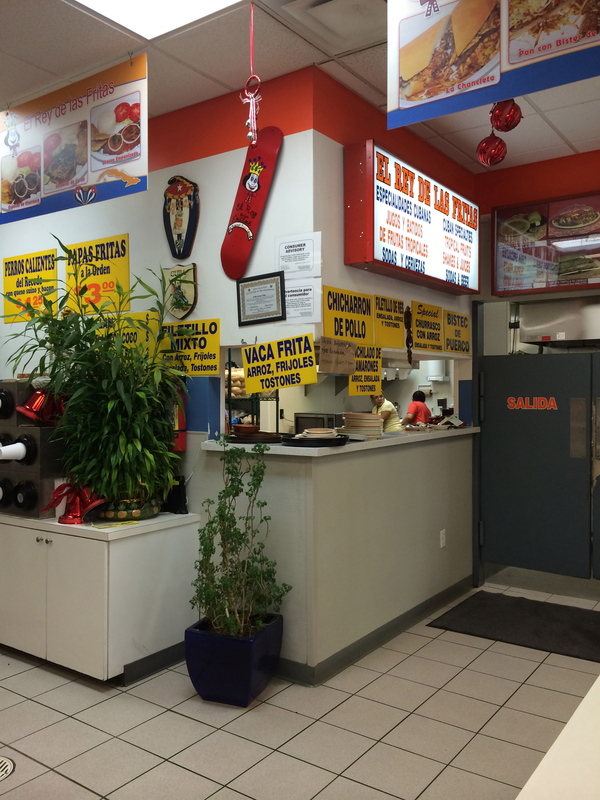 It’s one of those staples on Calle Ocho that’s a must try, at least once. First, I tried the plantain chips but unfortunately they were over cooked and some were burnt. I also tried a beef empanada but it was probably one of the worst I’ve had, mostly fried batter with about a tablespoon of beef inside :(. I’ve never had a frita before and chose the frita dulce. It had the usual spiced beef patty, crunchy papas fritas, their “special/secret” sauce, and for the kicker- sweet plantains. I always love something sweet, and can’t resist maduros (sweet plantains) in anything. 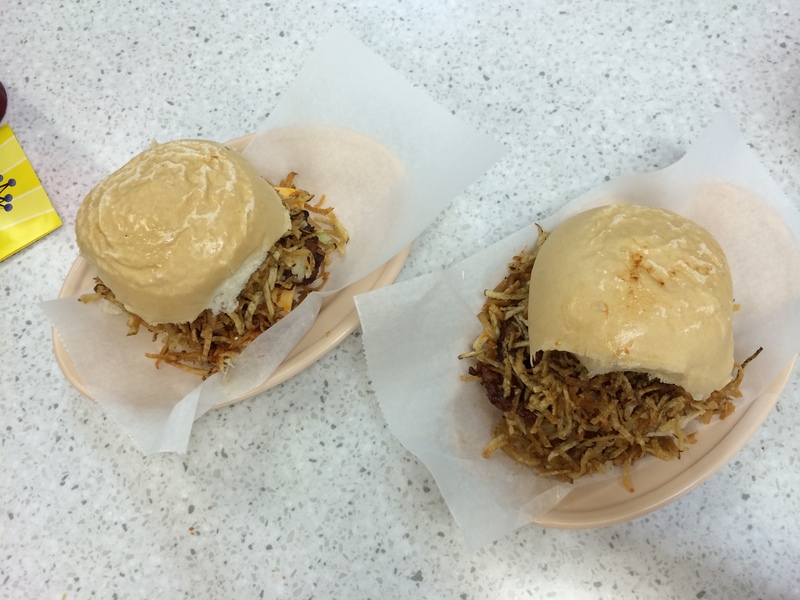 The frita was crunchy, juicy, and filling, perfect for recovery after NYE ;). 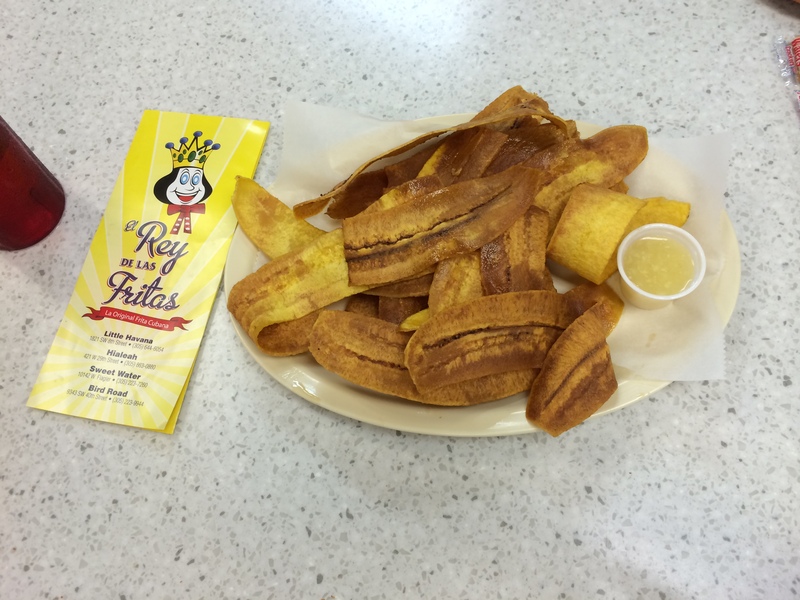 I have to say the frita was good, especially with the sweetness of the maduros, and if you’ve never had one then definitely go but I don’t need to go back for a while.